I still hate beer. I know! I’ m sorry! (Sort of) That doesn’t mean I can’t appreciate a good pour. We have been Kettle House people forever. I mean, until Kettle House Northside opened up. 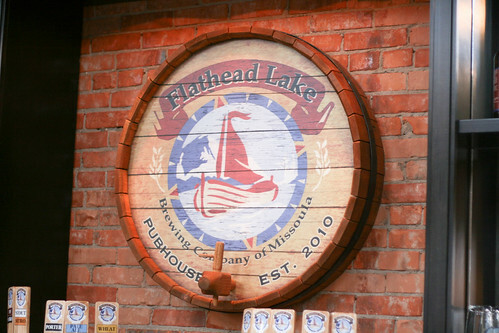 We’re still totally Kettle House people, but we’re also Big Sky people, Bayern people, and now Flathead Lake Brewing people. Sapore, the restaurant downstairs is a bit pricey for spur of the moment dinner. 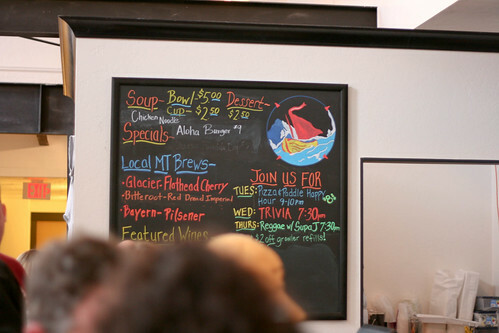 But the tasting room upstairs had excellent appetizers and delicious sounding entrees, and everything was pretty reasonably priced. The decor was beautiful, too! They renovated one of the older buildings in Missoula, so it was brick and wrought iron, mountain views and natural sunlight. We went after work on a weeknight, and although we had to wait a few minutes for a table (about 10), there wasn’t a bad spot in the whole place. 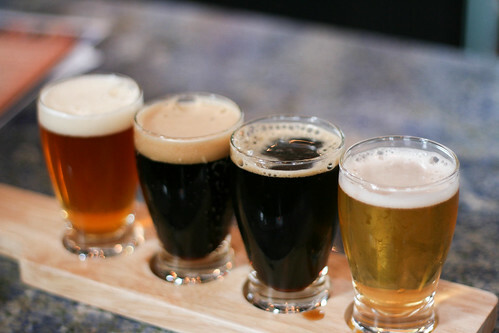 Whether you like beer or not, this is definitely a place to check out. Even if it’s just to sip a root beer, eat some nachos and gaze out the windows.